We used to transfer data between Androids by using Bluetooth. It will spend a lot of time and you need to select the content one by one in patience. Here we provide you Syncios Manager and Syncios Data Transfer which can not only save your time but also can finish all the transferring work in an easy operation process. To start with the transferring work, you should install Syncios Manager on your computer as your first step. Then launch the program and connect your Androids to computer through USB cable. 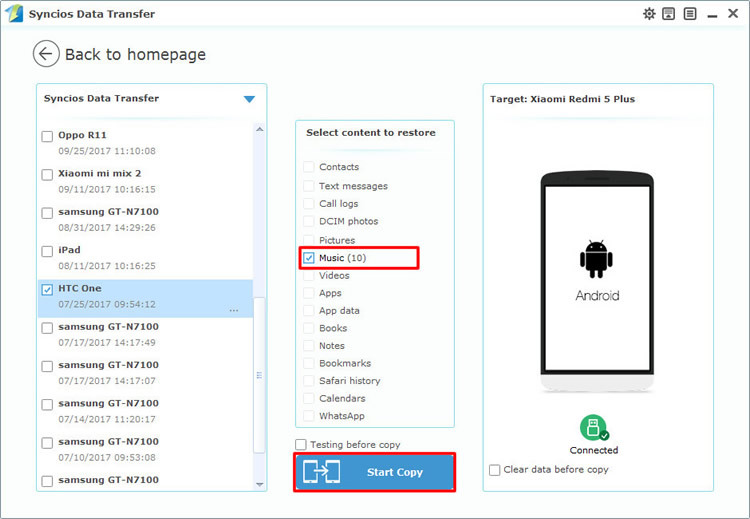 If you encounter any detection problem, please check our Android detection problem tutorial. Then choose 'Media' option and wait for next step. 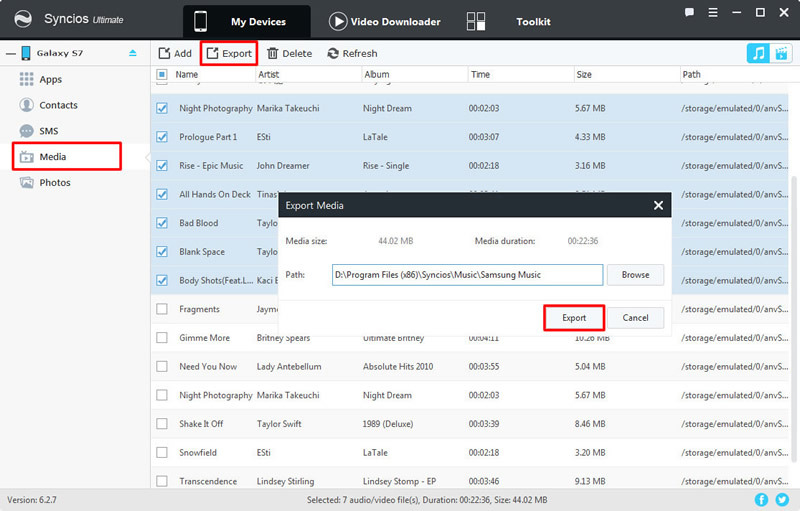 Export Android Music: Now we do operations on the source Android phone. Select the certain music you want to transfer. Just select the checkbox in front of the certain music and click 'Export' button on the menu bar. Then choose your saving route and click 'Export'. Import Android Music: Then we do operations on the target Android phone. Click 'Add' button on the menu bar. You can choose 'Add folder' or 'Add file' of your willing, then simply choose the music folder or specific music file you've just export early and click 'OK'/'Open' to import. 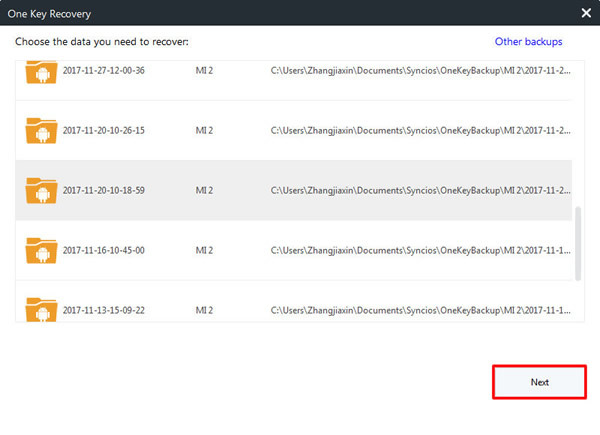 Besides, Syncios Manager also support to one click backup and restore your phone. 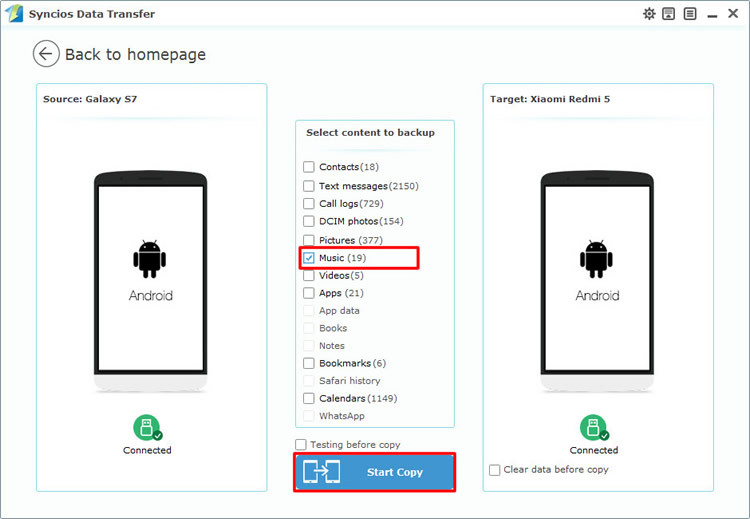 If you have backed up your Android before then you can use 1-click restore to recover Android backups to another Android phone. Go to 'Toolkit' module and select '1-Click Restore' function. 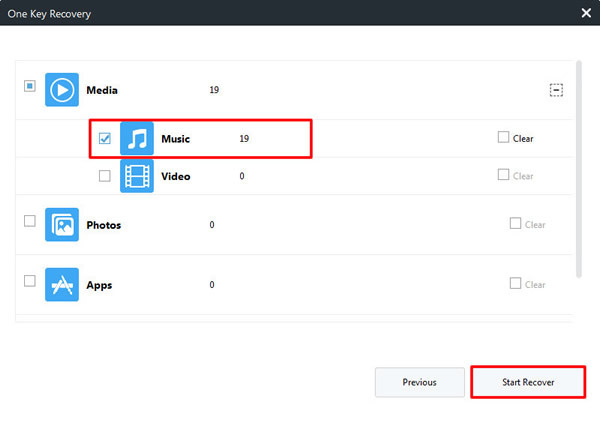 Select the Android backups you want and click 'Next' button, if 'Music' is checked by default then you are allowed to retrieve music to your Android. 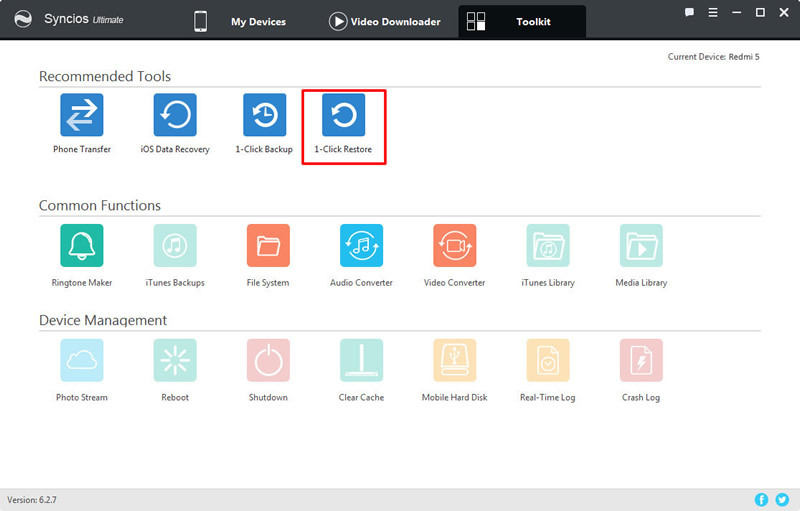 Click 'Start Recover' to restore music. 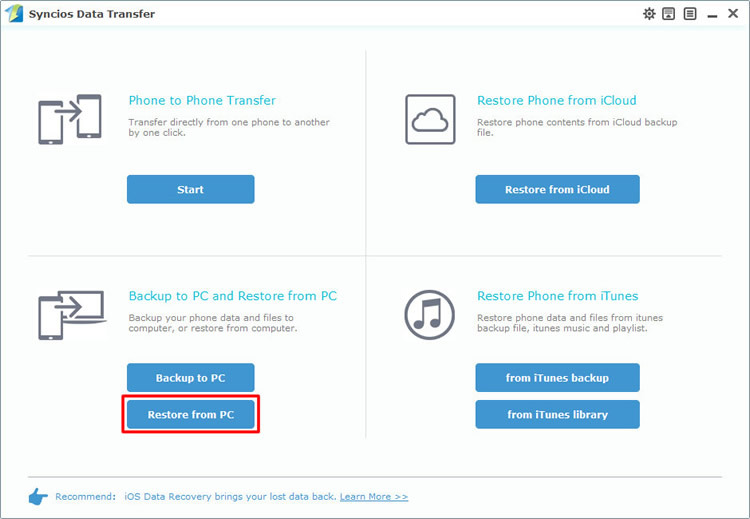 To achieve the phone to phone transfer work directly, you should install Syncios Data Transfer on your computer as your first step. Then launch the program and connect your Android to computer through USB cable or by Wi-Fi connection. Attention, Wi-Fi connection only allowed when Android and computer are access to the same network. Please make sure your source Android phone is on the left side and your target Android phone is on the right side. Then choose the 'Music' content and click 'Start Copy' to start the transferring process. If you encounter any detection problem, please check our Android detection problem tutorial. Still use Syncios Data Transfer for help. Choose 'Restore from PC' function at the first interface and connect Android phone to computer. Once Syncios finish to synchronize your phone, all the backups you have made by Syncios before will listed on the left side. 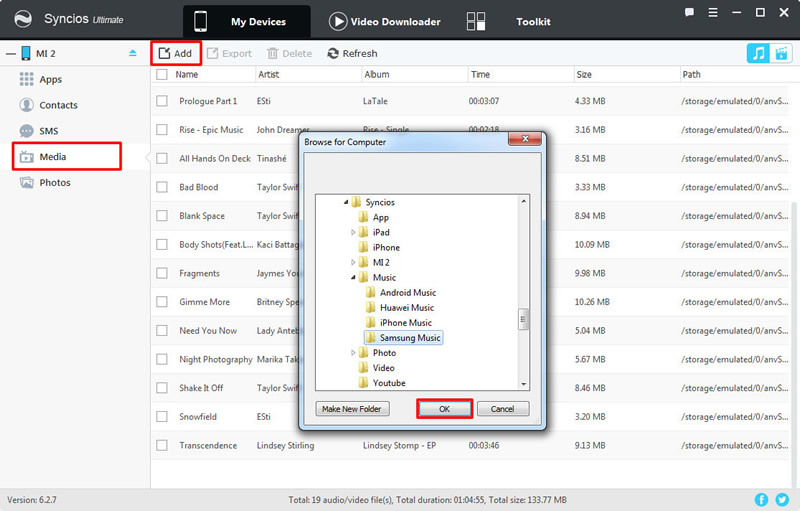 Choose the certain Android backups and select 'Music' content. Finally click 'Start Copy' to launch the transferring process.